A bit of that old time rock 'n roll. See also: history, . Xīluó 西螺 is a small historic town on the left bank of the Zhuoshui River 濁水溪 in Yúnlín 雲林. 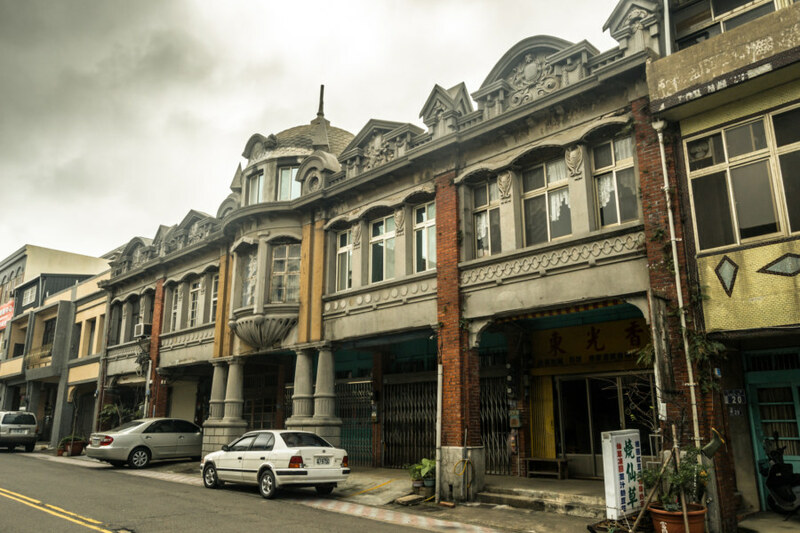 It emerged as an important center of trade in central Taiwan during the Qing dynasty era and continued to prosper into the early 20th century under Japanese colonial rule. Disaster struck in 1935 when the devastating Hsinchu-Taichung Earthquake ripped through north-central Taiwan, reducing much of Xiluo to rubble. 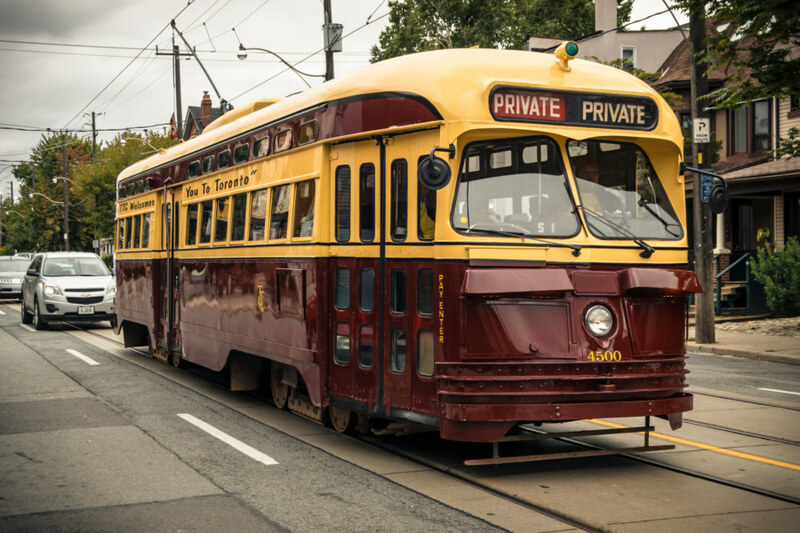 Colonial authorities and the local gentry worked together to rebuild, taking the opportunity to completely remodel the main commercial thoroughfares with an intriguing blend of influences from Baroque Revival, Art Deco, and Modern architecture. 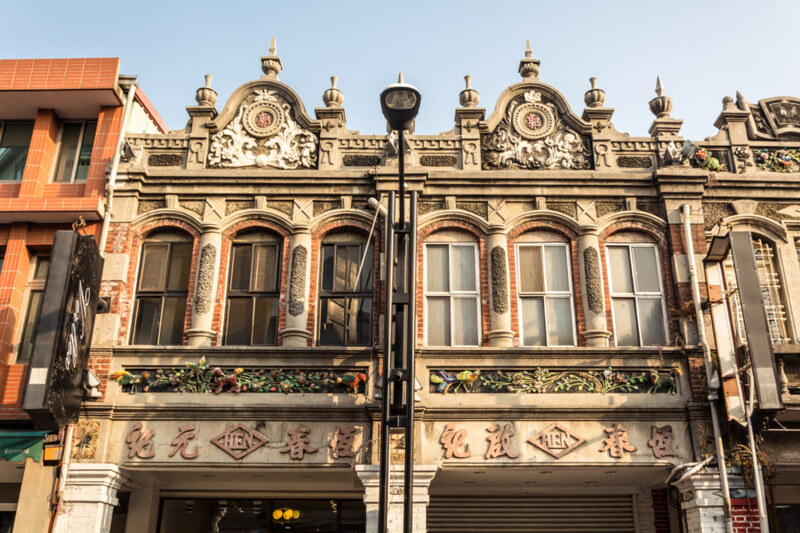 A short stroll down Yanping Old Street 延平老街 reveals that many of these unique shophouses and commercial buildings remain standing today. The obscure Lize Theater 利澤戲院 is located in the village of Lizejian 利澤簡 in Wǔjié 五結, a rural township just east of Luódōng 羅東 in Yílán 宜蘭, Taiwan. Built in 1964, it once served as a cinema and playhouse, hosting a variety of films and live theater performances for the local populace before slipping into decline in the 1980s, a little earlier than most other theaters I’ve visited around the nation. Afterwards the theater was converted for use as a clothing factory but this also went out of business. 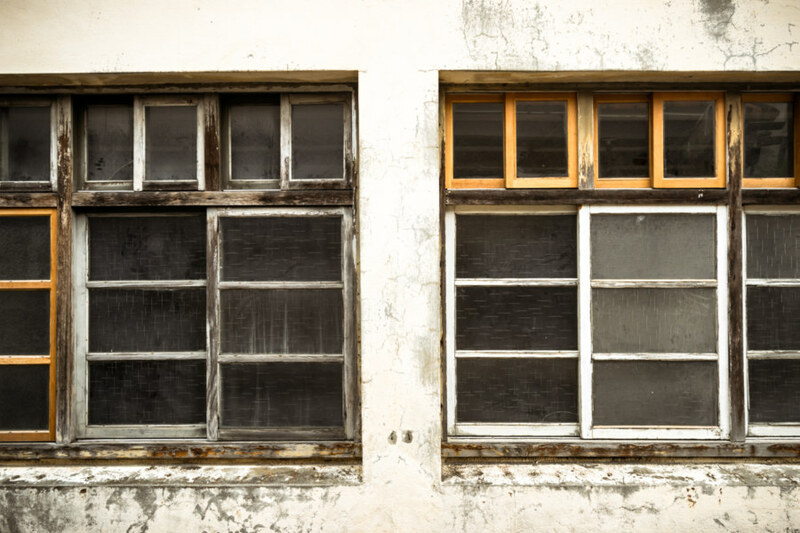 Nowadays the building is more disused than abandoned, as descendants of the original owner are still making use of the structure for storage and other purposes. In a stroke of good luck I happened to visit while the door was open—and after communicating my interest in the history of old theaters in Taiwan I was invited in for a brief chat and look around. Each theater has its own story to tell—but in this case I was particularly interested in learning why a theater was built in such a small and seemingly unimportant village. Yesterday I went wandering around Hsinchu 新竹 to capture more of its old school charm. Along the way I snapped a quick photo of a vintage barber shop around the corner from the historic Hsinchu Zhanghe Temple 新竹長和宮 that proved to be surprisingly popular. Located at 26 Aiwen Street 愛文街26號, this is Wenya Barber Shop 文雅理髮店 (with Wenya meaning “elegant” or “refined”) and Mingzhu Beauty Salon 明珠美容院 (“pearl”). The building itself is rather odd, sandwiched between traditional courtyard homes and newly built residences, looking very much like a place out of time. The man inside the shop is even reading a newspaper! This storefront immediately caught my eye when I arrived in Hsinchu 新竹 a few hours ago. 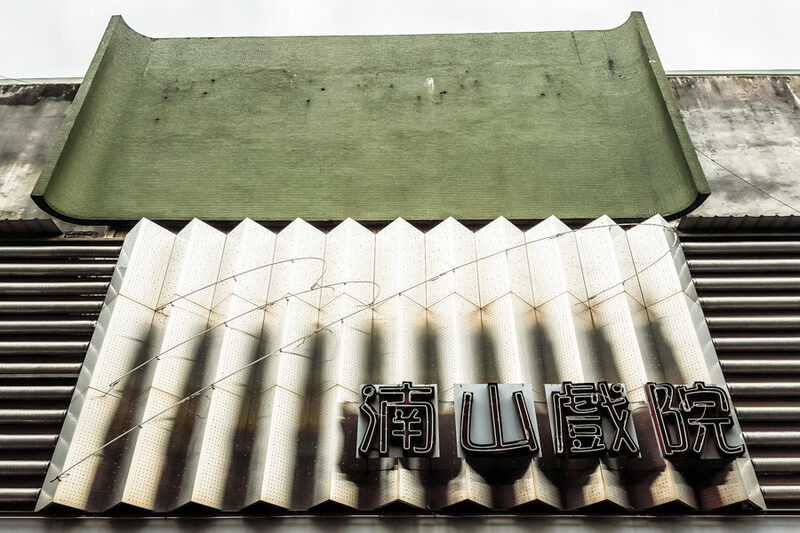 Both the facade and the lettering are unusually classy, showing a vintage style of design not commonly seen here in Taiwan. This is a jewelry shop, as the clever use of characters would suggest, and its formal name is Xinfu Zhubao 鑫府珠寶. The first character, xin 鑫, is known as a sandiezi 三叠字, or triplet character, and is composed of three instances of jin 金, which means gold. Whoever designed the lettering obviously had some fun integrating a sparkling jewel into the two characters on either side of the shop’s name! Taiping Old Street 太平老街 is an unusually long stretch of Japanese colonial era shophouses in central Dǒuliù 斗六, the administrative seat of Yúnlín 雲林, Taiwan. Located not far from the train station, this old street is remarkable for its length (600 meters long), consistent architectural style (almost entirely Baroque Revival), and relatively good state of preservation. Despite this, it is not a huge attraction, which is just as well if you’re not a big fan of mass tourism in Taiwan. Now that I know how to find and identify military dependents’ villages in Taiwan I tend to stop off and check out any new ones I see in my travels. Last week while roaming around West Taichung 台中市西區 I made a quick visit to Shenji New Village 審計新村, an unusual military community not far from where I found that lilac mailbox I recently shared. Rather than the usual bungalows this village consists of almost American-style homes, most of them still in surprisingly good condition. 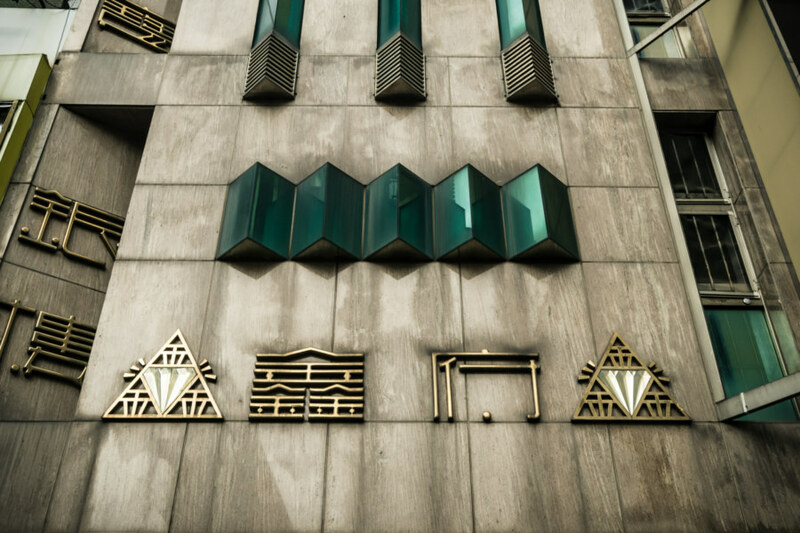 This set of vintage windows on the upper levels caught my eye—and for this reason I’ll leave a small note here along with links to Chinese language blogs with more information here, here, and here. Last week I went out wandering in West Taichung 台中市西區, ostensibly to check out Zhongxing First Alley 中興一巷 (formally—and awkwardly—known as Fantasy Story 范特喜微創文化), an artsy district built into a row of old homes, when I noticed this unusual mailbox somewhere along Xiangshang North Road 向上北路. 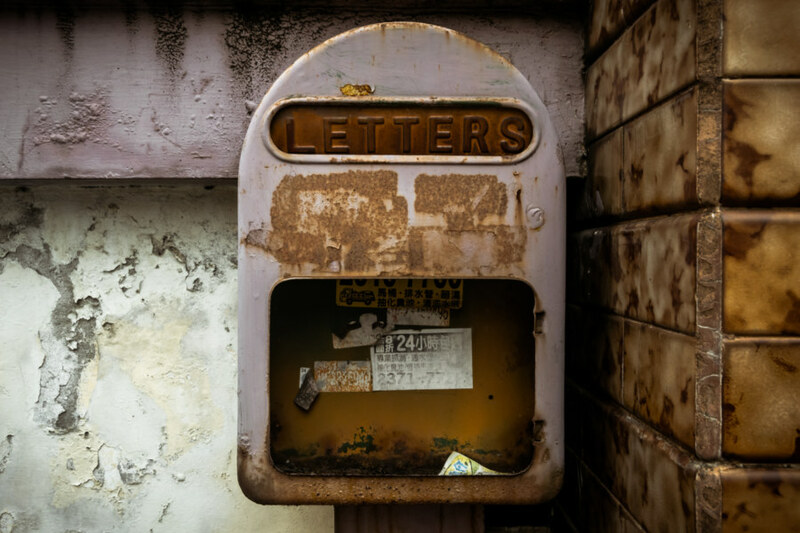 The fact that “letters” is written in English is no great surprise—see, for instance, this old letter slot in Taipei 台北—but never before have I seen one in this distinct and alluring shade of lilac. 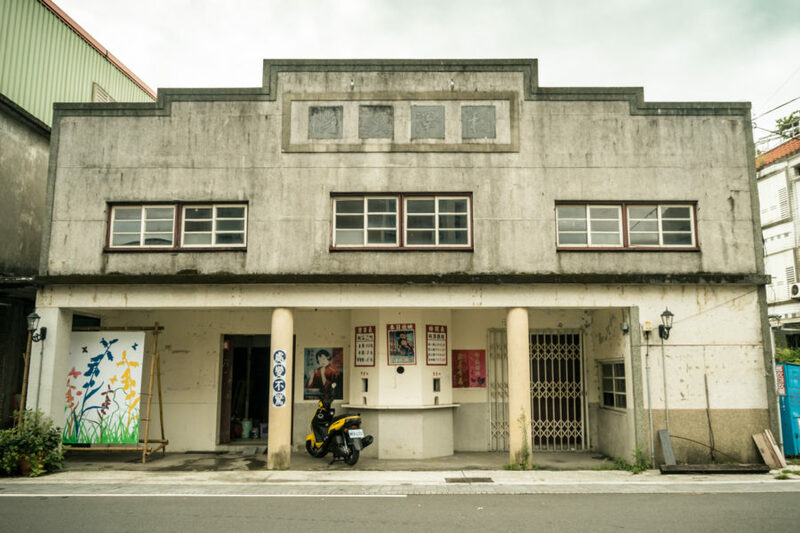 Recently I’ve been mapping dozens of old school movie theaters in Taiwan, most of them abandoned, so it is a little surprising to chance upon one still in operation in my daily travels. 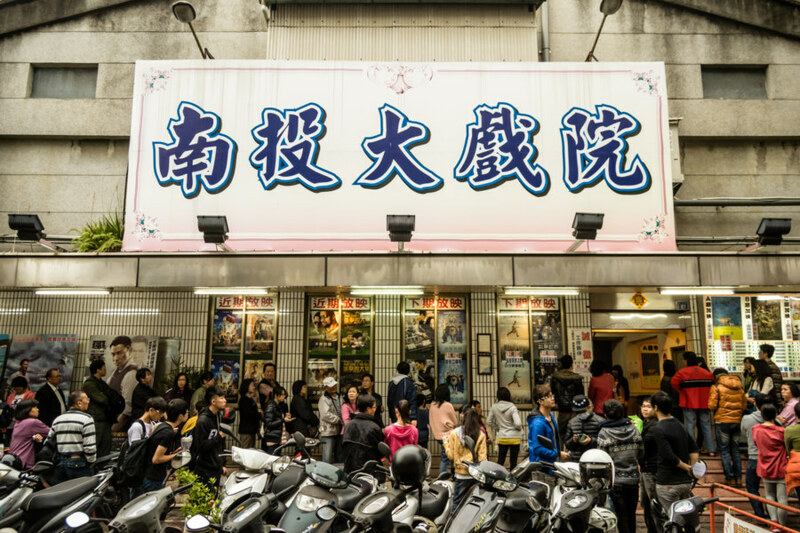 Where others have vanished, Nanshan Theater 湳山戲院 remains, an old school second-run theater hidden along a small street near Tonghua Night Market in Dà'ān District 大安區, Taipei 台北. 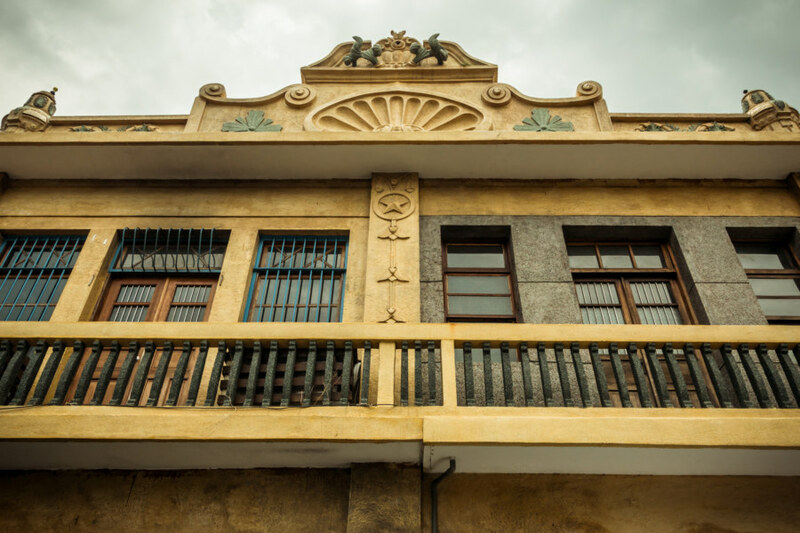 Fugang Old Street 富岡老街 is an obscure anachronism in the western part of Táoyuán 桃園, Taiwan. It extends from a railway station that opened during the Japanese colonial era in 1929 through the heart of this small Hakka town. The coming of the railroad brought prosperity to the area and several ornate shophouses were built around the station in a mishmash of architectural styles common at the time. 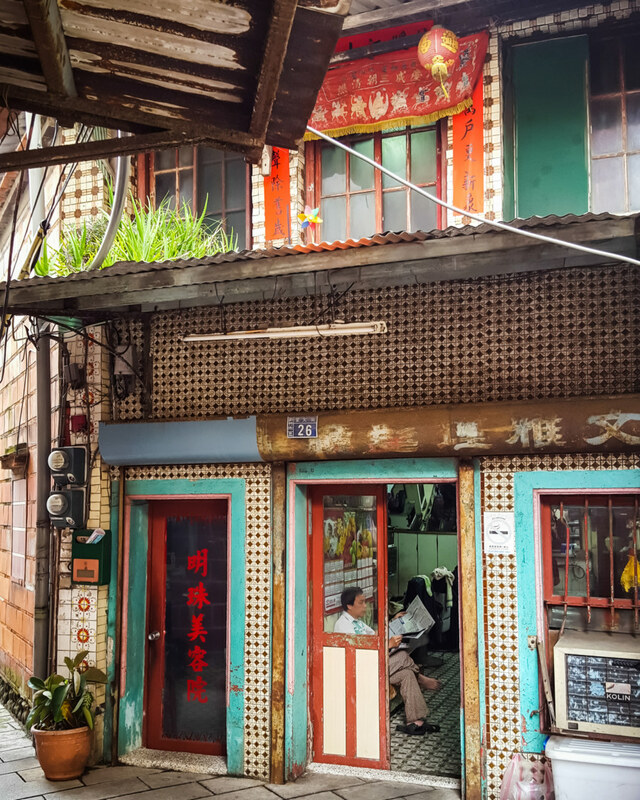 Nowadays it is just another street in rural Taiwan, albeit one with a little more history than most, possibly because it is too unimportant a place for modernization to have swept away these vestiges of the past.